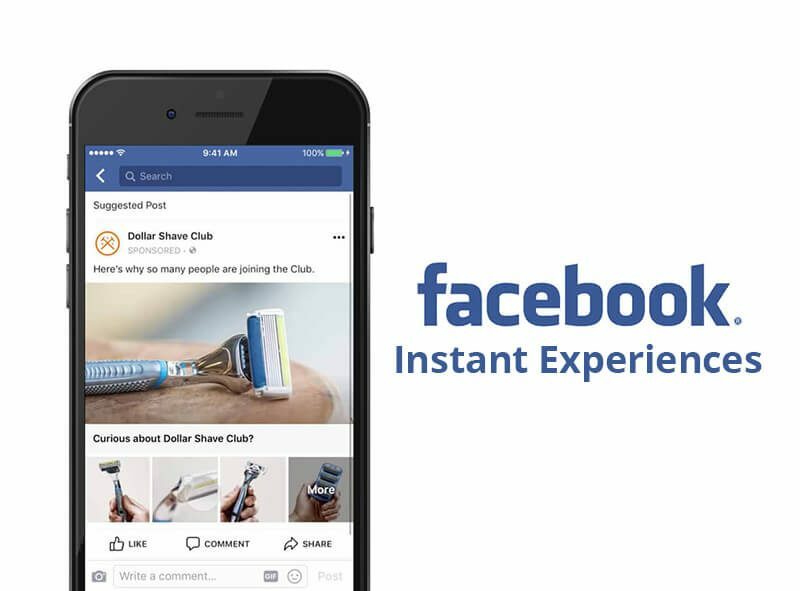 Facebook Instant Experiences allows advertisers to deliver fully immersive, interactive ads that are hosted completely on Facebook — thereby eliminating the need for users to click out of the app to engage with mobile content. Facebook Instant Experiences is a better way to tell your brand story and promote your products on mobile. Our Facebook Instant Experiences services are comprehensive, cost effective and creative, providing you with strategic direction, high-quality design and years of experience. Canvas helps you shorten the distance between your message and the customer. It loads instantly, it’s mobile-optimized and it’s designed to capture the complete attention of your audience. With Facebook Instant Experiences, people can watch engaging videos and photos, swipe through carousels, tilt to pan, and explore lifestyle images with tagged products. They won’t just see your story, they’ll become part of it. Account Manager. You will be assigned a dedicated account manager to oversee your account. Conversion Tracking. We’ll help you install the Facebook pixel and set up any custom conversions. Copywriter. Our copywriters use their gift of words to ensure your ads drive traffic and generate conversions. Graphic Designer. We’ll edit any images or create new ones to help captivate your audience. AB Testing. We’ll test your targeting, ad copy and images to ensure you’re getting the best ROI. Remarketing. We’ll help you reach users on Facebook that visited your site in the past. Custom Audiences. We’ll help you upload any custom audiences of customers, then create lookalike audiences. Video Captions. We’ll add captions to any videos so users can watch while their sound is off. Facebook Experts. Our team is able to implement best practices that we’ve seen in other campaigns. Facebook Ad Tech. We utilize the latest in Facebook ad technology to maximize your results. Reporting. We’ll run audience insights reports and monthly reports anytime. Build your Brand. Tell your brand’s story and send them to your page or site for more information. Drive Conversions. Designed to heavily promote products and get purchases. Generate more Leads. Collect emails more efficiently on a mobile form. Customize your Brand. They are also incredibly customizable and let you add combinations of different components, which include headers, clickable buttons, text, videos and images. Engage your Audience. Give your clients a great mobile experience allows them to immediately engage in your business and easily take action in choosing you as their pool builder. Our Facebook Instant Experiences works best for any pool construction, service and retail company owners looking for ways to stand out and reach consumers who aren’t already “fans” that seek out there organic content.